Yet another example of how Doug Sanders was the man to know. 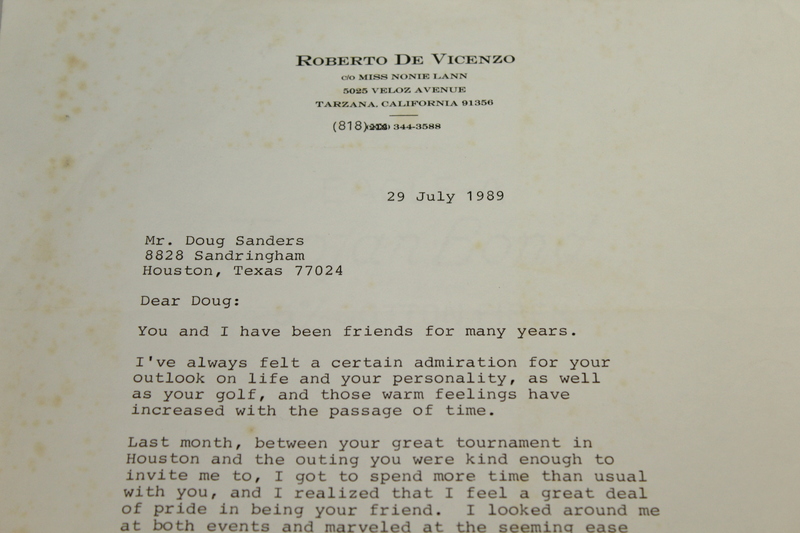 This letter from the decorated Hall of Famer, Roberto De Vicenzo, is filled with nothing but thanks for Sanders. 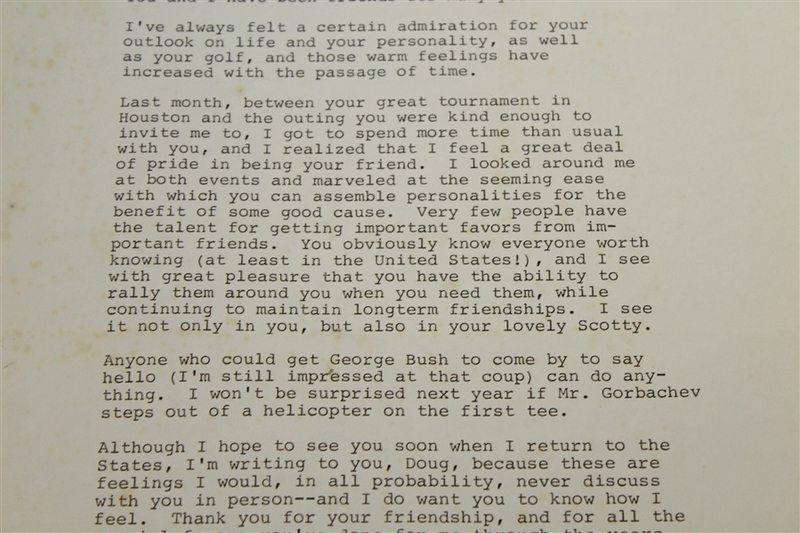 De Vicenzo notes in his letter how Sanders was able to get the President to come say hello at a golf match and how Sanders knows everyone worth knowing. 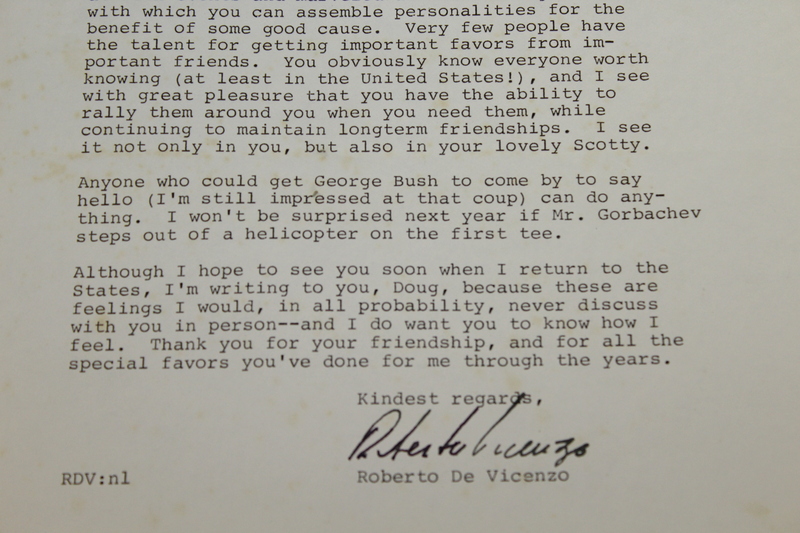 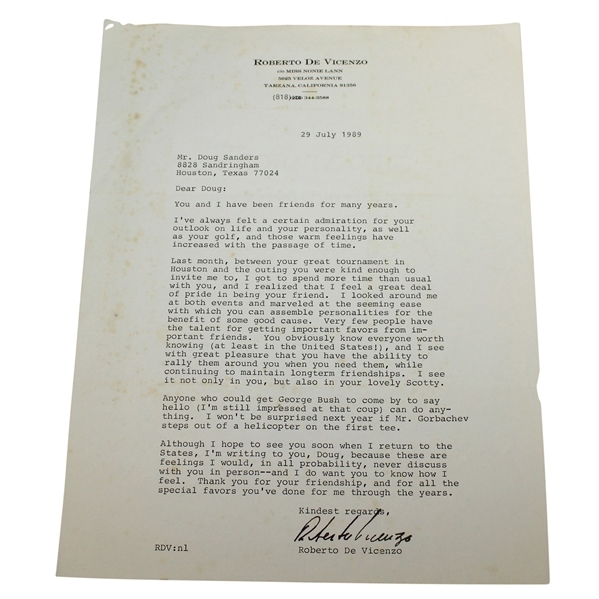 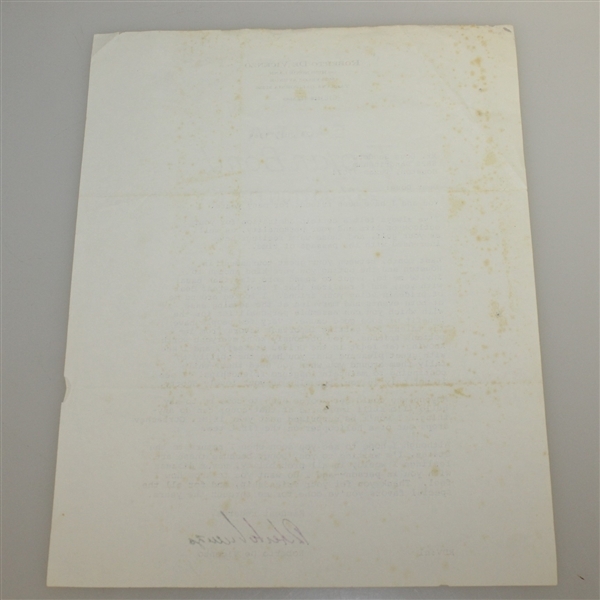 This letter is signed by Robert De Vicenzo.